Click HERE For 2018 FreakFrog Montana Information! WHAT: Freak Frog training camp in Montana. WHY: To be prepared for anything at anytime. (address will be sent only to those who register). We have thousands of acres at this camp along with a shooting range. 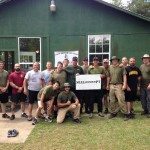 It is similar to GORUCK and Don Shipley’s Extreme SEAL Experience. 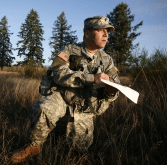 You will be learning teamwork drills, land navigation, combat defense, hiking (rucking), basic pistol and rifle training and a final SEAL raid/mission. till Saturday July 29th at 2400 (12 pm). This will be three full 12 to 16 hour days of training. You must be on site in the camp by 1800 (6 pm) wednesday July 26th, 2017. The closest airport to fly into is Billings. Expect to get wet, muddy, sweaty and dirty but have a crazy fun time. Need to be in shape and training now. Before entering the course have completed a 5 mile ruck in hills with 30 lbs. 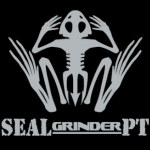 Send your Strava or equivalent tracking link to brad@sealgrinderpt.com for review. Complete a 5 mile trail run in hills (with a sub 10 minute mile). Be able to do a hard bodyweight workout with calisthenics for 30 minutes or more. Send us your workout and time to us for review. You will be learning, solving problems, working as a team, doing team workouts – so bring your “A” game. 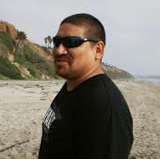 Former Navy SEAL and combat veteran Dan Cerrillo served 13 years with combat service in Iraq. 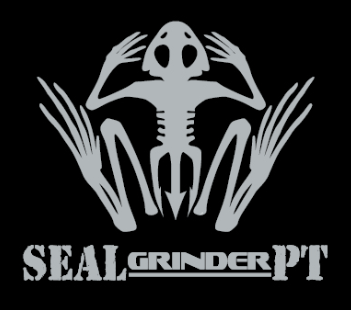 He has personally trained dozens of young men who have gone on to graduate from BUDS and serve on a SEAL Team. 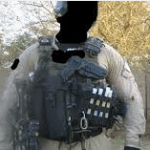 He has ran numerous training camps around the country and specializes in firearms training, small unit tactics and Close Quarters Battle (CQB). Dan will find ways to push you to your outer limits that have never been seen by civilian eyes before. Instructor Z is a small arms shooting instructor and current LEO. He is a former Special Operations operator with combat experience overseas. 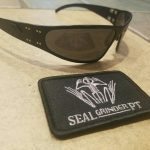 His mission is to teach tactical shooting to athletes all over the country from Florida to Montana and parts in between. Instructor Z will improve your tactical shooting skills on that day. You will take a test at the start and finish and see the actual results of your improvement. We also have former Navy SEAL Brad McLeod (BUDS class 132/SEAL Team Four. He lives in North Florida and seeks to train warriors to improve their potential. Brad went through Hell Week twice and can train you to get ready for any crucible endurance event (BUDS, GORUCK, Spartan Race, Tough Mudder, SEALFIT 20X, Kokoro, and the Bone Frog Challenge). He has the unique ability to help athletes improve 1% daily and help them catapult towards their goals and crush them. Early bird special $2,750 includes all food, lodging and ammo. Down payment of $750 reserves your spot. Once you have paid your down payment we will contact you with more information and arrangements to pay the remaining $2000.00. If you bring a buddy we will give you a discount. There will be NO refunds once you sign up as we have to pay for range time, ammo, food and reserve instructors and pay for their lodging and food. Your girlfriend not liking what your doing is not an excuse. Question: When does event end? Answer: 2400 (12 pm) Saturday evening. You can leave then or hang around for campfire and cold drinks and burgers. Question: Where do we sleep? Answer: Bring a tarp or tent or hammock and be prepared to sleep outside. You may want a bug net to keep the mosquitoes away. Question: Should we train by rucking with a 25 lb sand bag in our backpack? Answer: Yes or you can add the gear on the list along with food and water and medical kit. Question: Should I bring a sandbag? Answer: You don’t need to bring a sandbag or weights. We will have those for you. Do bring your ruck/backpack. Question: Should I bring extra snacks? Answer: You can bring snacks and electrolytes if you want to. We will have food/snacks and drinks at the event. Question: My little brother is 15 years old can he come out to the event? Answer: Must be at least 16 years old. Must be in good shape and able to ruck with a backpack and run. 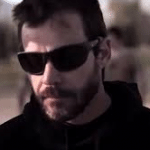 Gatorz Sunglass – Made in the USA. We love these sunglasses for shooting and working out in the field. They are built super tough and can handle tons of abuse. We like that they are every adjustable and can be conformed to your face really quick. Your ruck should have a hydration bladder and a 1 liter bottle for scooping up water. All Weather Shelter or whatever you want to make a shelter with (think tarp and paracord). Survival tactical knife or hand saw (for building shelter). * camp is in the back woods so think ticks, mosquitos and other creepy crawlies. *Do not bring a pistol – we will have firearms for you to train with. I wish there was a girls version of this event because it sounds like fun. I would love to learn how to hunt and fish too. Lol. Women are more than welcome in this event. Come join us. Is this open to older adults and civilians? Yes; Tom – it is.